This Try/Activate screen means that you are running in Standalone mode. Try gets you a Trial standalone license, which is good for 30 days and cannot be reset. Activate is for Standalone licenses only. If you try to activate a Network license, you’ll get an Error 123. I used to see these types of errors every release. 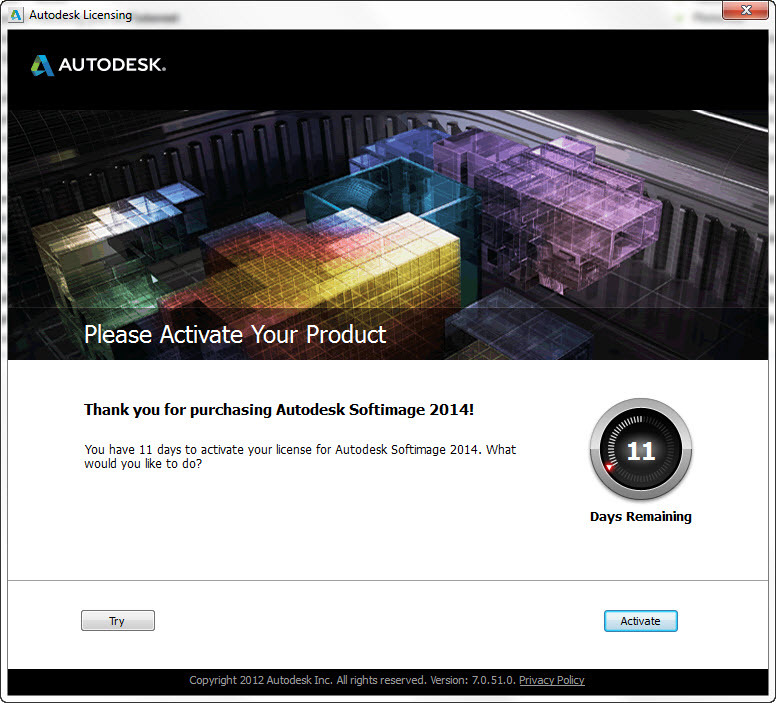 Can you reset an expired Autodesk trial license? No. Since I left Autodesk, I’ve been asked a few times whether there’s a secret way to reset expired trials 🙂 The short answer is No. Even for Autodesk employees, that’s how it is. Zero-filling your hard drive is pretty much the only way to reset a trial license.